Tesla's Model S electric car series will now ship with Spotify Premium integration, replacing former music partner Rdio, in Europe, Australia and Hong Kong. Current Model S owners will also benefit from the feature thanks to an over-the-air software upgrade, according to The Telegraph. Teracom AB has been following a public procurement with an agreement to deliver a nationwide terrestrial network for FM and RDS to Swedish Radio (SR) which launched the tender in April 2015. The basic requirements from SR is a population coverage of at least 99.8% and tightening requirements for reliability and robustness. At its General Assembly in Madrid Community Media Forum Europe (CMFE) the Board of Directors got three new members. Judith Purkarthofer (Austria) takes over as President after Ciáran Murray (Ireland) . Vice presidents are Larry Fergeson (Cyprus) and Gabriella Velics (Hungary). Treasurer is Helmut Peissl (Austria). Together with former board members new in the Experts Group is Lina Chawaf MD of the Syrian expat radio station Radio Rozana in Paris. The Radio and Television Board has now distributed operating aid for non-commercial local radio and television. As in previous year, the total contribution is DKK 43.8 million (€5,8 M) of which the radio receives 40% and television 60%. 153 community radio stations have received support with a maximum amount of DKK 122.444 per station. Digital radio is increasingly the Internet. Will DAB be scrapped? There are no prospects that digital radio in the foreseeable future will match the wide spread of FM radio in Denmark today. In six years, at least half the radio listening will still be on FM. This is evidenced in a market research report from the Media Authority now out for consultation. Is the fixed line telephone on the way back? No, and niether is DAB. This should have been asked by the politicians, when they in the spring of 2015 was about to decide to put a very tight deadline to switch off FM favor of DAB. Had they done so, it would have been almost as it is also thought that fixed line phone was to replace the mobile phone, said John R. Kristensen, president of the copyright organization Gramex to Berlingske Business. He says that the report clearly indicated that the DAB technology is not adopted by the consumers. The EU General Court in Luxembourg confirms the Commission’s decision ordering the recovery of State aid granted by Spain to the operators of the terrestrial television platform. The measures adopted by the Spanish authorities did not respect the principle of technological neutrality. The digitisation of broadcasting can be carried out technically via terrestrial (DTT), satellite or cable platforms or through broadband Internet access. This decision will also have implications for state aid regarding digitisation of radio (DAB etc). Now there are as many mobile subscriptions as there are people on the planet. India is on track to surpass half a billion mobile subscribers by the end of the year, according to a new GSMA study, signaling the start of a new era for the country’s mobile economy. The new report The Mobile Economy: India 2015 finds that 13% of the world’s mobile subscribers reside in India and that subscriber growth is forecast to cements India's position as the world’s second-largest mobile market behind China. Media agency Ofcom has presented studies showing that 27% of UK radio listening is via DAB which is two thirds of all digital radio (Internet and via television network). This is the highest percentage in the world, but DAB was introduced already in 1995. Now there are signs that the DAB listening is approaching its climax. Ofcom has also asked the households which do not have a DAB receiver if they expect to buy one within one year. 6 out of 10 households responded that this is not likely (13%), is not at all likely (21%) or certainly not (25%). Only 14% would consider buying a DAB receiver. The media authority CSA has now compiled comments on a consultation regarding the further implementation of digital radio (DAB+) allotments. The Office of Radio (umbrella organization for the four largest private radio groups in France - Lagardère Active stations, NextradioTV, NRJ and RTL Group) continue to express opposition to the deployment of digital radio; there is no workable economic model. The Hollande government also 2012 has stopped Radio France - the public radio - to go DAB - for economic reasons. But organizations of independent broadcasters, including CNRA and SNRL, continue to push for the deployment of DAB+, subject to reservations related to the funding of community radio stations (today 40% of budget funded by the government). The agenda item that is widely acknowledged to be the most important at World Radiocommunication Conference (WRC-15) in Geneva, the identification of more spectrum to mobile broadband (IMT), is proving to be just as controversial as predicted. The GSM Association released a statement that highlighted the 470-694 MHz band’s potential for rural mobile broadband deployments and lashed out at the “misinformation” spread by incumbent broadcasters. There is an increased global pressure from telecom operators to expand mobile broadband allocations in the UHF band (470-862 MHz) which is already underway in the 700 and 800 MHz band with next step the 600 band (Canada and the US). Thus terrestrial television broadcasters are being pressured to regain spectrum for DVB-T2 in the VHF band III (174-240 MHz). This might be a mortal problem for DAB broadcasting as there are no other spectrum allocated for DAB/DAB+ on lower frequencies. The new RDS2 system was presented in Berlin on Nov. 3. An enhanced version of the radio data system used by FM radio, RDS2 is backward compatible with RDS receivers. With this new technology, broadcasters will be able to continue using the existing RDS system, which is now 30 years old, and opt for RDS2, to be available in 2016, as an option. FM radio will now have a capacity for enhanced text and picture performance also much touted by DAB promoters. Irritation among public service listeners losing FM. The government prescribed transition to digital DAB radio and the closure of FM 2017 meets the population's continued complaints and protests. The car business is reporting customer dissatisfaction. Most of the vehicle fleet, especially buses and trucks, have not installed DAB radio. In addition, motorists from abroad, including neighboring Sweden will not be able to listen to Norwegian radio. Now the irritation of public service radio listeners (and license payers) is mounting. A 2017 chaos might hit Norwegian households and motorists. Moreover, the assessment is that with online radio in smartphones the future of the Norwegian DAB+ network seems to be doomed. The Swedish Government now has delivered to Riksdagen - the Parliament - its formal response to the National Audit Report on the issue of digital radio DAB introduction in Sweden presented in March 2015. According to the government looking into the whole picture of the consultation on an inquiry of 2014 a broad and clear support is lacking for a digital transition. The proposal for a transition from FM to DAB+ 2017-2022 is rejected and there are no plans for another inquiry into this issue. In 2025 it is predicted that all young people and adults in the world will own a smartphone, which will replace other devices as stand-alone radio- and tv-receivers. This will have a heavy impact on the media industry. According to the ITU/UNESCO Broadband Commission for Digital Development ‘State of Broadband’ report that although strong growth rates continue for mobile broadband and Facebook usage, and mobile cellular subscriptions now exceeded 7 billion. Timetable must be set by listeners. Still only 14% of radio listeners listen exclusively to digital radio. In its response to the government’s green paper on the future of the corporation, the BBC says it cannot fund the costs of such a switchover without significantly impacting services. Further build out of the DAB networks to reach the same coverage as FM would be a major undertaking, likely to increase radio distribution costs by between £40m to £45m a year exclusive of any work to maintain the existing networks. 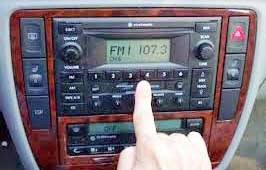 Most cars still without DAB radio. Discontent and complaints. The Norwegian car importers and dealership are again expressing strong skepticism regarding a planned FM radio closure 2017. Few cars in Norway are still not equipped with DAB radio, and there are complicated solutions for installation in old cars. Especially utilitarian transports as vans, trucks and busses are not DAB-able. This was revealed by Tore Lillermork from BIL - the car import association - at a DAB meeting at the Media Authority. At its party conference the liberal Center Party decided in support of the government decision to not go ahead with the proposed transition from FM to digital radio DAB+ in 2017-2022. There are too much uncertainty regarding a transition i.e. the emergency issues. The party demands a more elaborated analyzis before a decision can be taken. 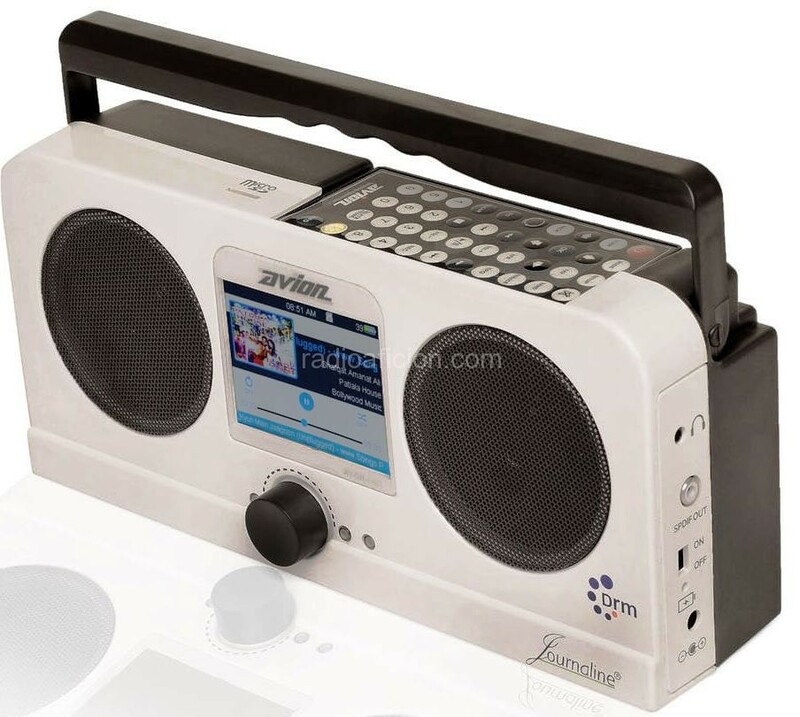 Avion Electronics, a Communication Systems Inc. brand, has unveiled the first, ready-to-ship, India-made Digital Radio Mondiale receiver. The first batch of 2,000 pieces will be delivered in October, and a second batch is expected by the end of 2015. There is a firm commitment from the Indian government toward DRM, and we see a growing interest in both radio stations and consumers, says Ankit Agrawal, technical director at Communication Systems Inc.
Closure of FM in Norway may encounter a setback. Norway is not member of the European Union, but an EEA member (European Economic Agreement) and needs to follow the articles and laws that EU/EEA requires. The Norwegian Local Radio Association NLF has written a letter to the Ministry of Culture to get an answer to this basic question: Is the Norwegian FM switch-off decision legal with respect to our EEA agreement? A closure of the FM band is regarded as the decisive factor for a DAB+ success in Norway. Netherlands’ Broadcast Partners is a major provider of transmission facilities in that country is hesitant about DAB developments. We think that DAB+ maybe has a chance in the future but we do not know for sure, said the Director of Broadcast Partners, Robert Jan van der Hoeven. The picture in Europe is very variable. From the DAB lobbies, there is a very optimistic image. They could be right. The consumer has, so far, not discovered the benefits DAB+ so you are having a replacement market. The CEO of the Indian public radio and television organization, Mr. Jawhar Sircar has inaugurated the new 200kW medium wave transmitter of All India Radio Kolkata (657 kHz) at Aamtala. This brings the total of new DRM-ready medium wave transmitters commissioned in India to 21 (out of planned 35). However, this is the first transmitter simulcasting analogue and digital signals. 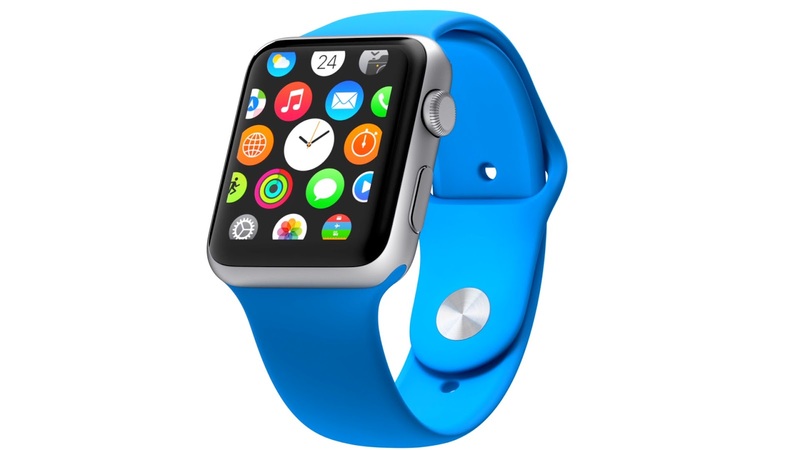 Teardown analysis of the Apple Watch by ABI Research shows that — like most smartphones — the device includes a connectivity chip that incorporates WiFi, Bluetooth and FM radio capabilities. As in the iPhone, however, the FM capabilities of the connectivity chip are not implemented on the device. The global organization for mobile operators GSMA has published a report finding that terrestrial digital TV broadcasting in the Arab States does not need an exclusive allocation of the UHF spectrum band (470-694 MHz), and that a significant amount could also be used for mobile broadband, unlocking socio-economic benefits. Mobile operator offers subscribers unlimited music streaming. Swedish telecom and broadband operator Three (3) from now on provides their customers with an unlimited surf pool for music streaming via services Spotify, Deezer and Tidal. More services will be added later on. Russian Television and Radio Broadcasting Network has started a full DRM+ trial on Radio Mayak (Radio Lighthouse) in St. Petersburg on the 67.46 frequency. This new test is similar to one that took place in Moscow in December 2014, says the Digital Radio Mondiale organization. The Inmarsat-5 F3 satellite will cover the Pacific Ocean Region and will, together with Inmarsat-5 F1 and Inmarsat-5 F2, create what the company says is “the world’s first globally available, high-speed mobile broadband service, delivered through a single provider”. Global Xpress will deliver broadband speeds around 100 times faster than the company’s fourth generation constellation, offering services for customers in both the public and private sectors, especially in the most remote and inaccessible regions of the world. In the Department of Communications report the conclusion is that Australia should not replace AM/FM with DAB+ but rather focus on analogue platforms and make DAB+ as a supplementary alternative. There is no clear picture of the future for digital terrestrial radio. The cost and complexity of rolling out DAB plus-based digital terrestrial radio services across regional Australia present major challenges for the industry according to the report. The need to cover large geographic areas with small and dispersed populations offers unique challenges which have not been faced in many international markets. Decision to retain FM radio plagues DAB developments. The decision to retain FM radio in Sweden has created an uproar amongst DAB proponents and lobbyists in Europe. In Sweden the unusual approach by the Director General of Swedish public radio (SR) and EBU Member Cilla Benkö by protesting against the government has been duly noted in media. Now also the EBU has joined her in condemning the decision. News that the Swedish government is to postpone the development of a digital terrestrial network has been widely criticised as 'short-sighted and retrograde' by public service broadcasters across Europe writes EBU on its web site. The Swedish government has announced it will not go ahead with plans to replace FM radio with digital DAB+ broadcasting. 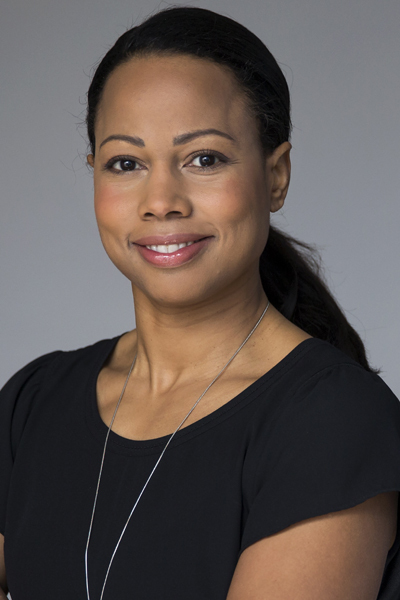 In the daily Svenska Dagbladet, the Swedish minister of culture and democracy Alice Bah Kuhnke writes that there is not enough support for introducing digital radio. Among the main reasons for retaining FM is that 10 million FM receivers would have to be replaced. The culture minister also points to concerns from the Swedish defense, which uses some of the DAB frequencies, and that there are some reports that the planned DAB networks wouldn’t have the same coverage area as the current FM networks. "The DAB project is off the agenda"
Since 2014 Sweden has a coalition government by the Social Democrats and the Greens. Miljöpartiet ministers is in charge of the culture, media and ICT agenda. The ministry of culture statement regarding DAB radio is expected before summer holidays in July. Continued Slow Uptake for DAB Radio in the U.K. Listening on digital platforms has increased four percentage points on one-year basis according to latest RAJAR survey. However, still AM/FM is the major platform with 54,3 % of all listening. The share of listening to DAB is 25.9% of all listening (23.7% in Q1, 2014). This is still the highest share for DAB listening in Europe but the system was introduced in the U.K. already 1995. Norway is number two for DAB listening with a 19 % share and Denmark number three with 14 %. A South African government ICT Review Report SA states that regarding digital radio the media regulator ICASA 2013 decision not to make a determination on the switch off of AM and/or FM signals must be endorsed, and that the licensing of DRM and DAB services must be facilitated in parallel. French transmitter network operator TDF and Italian public broadcaster RAI have launched the world’s first field trials of the new converged mobile broadcast system LTE-A+ Broadcast from transmitter sites in Paris and Aosta (Italy). The trials intend to evidence the possibility of convergence between the LTE technology ecosystem on one side and traditional DVB broadcast infrastructure on the other. They come at a moment where the mobile industry is increasingly looking at eMBMS, an LTE-embedded broadcast approach to serve the growing mobile video and radio/TV consumption. At the 2015 NAB Show GatesAir demonstrated an FM over-the-air system The Flexiva FAX designed for broadcasting on 76-88.1 MHz (below the regular 88-108 MHz FM band). The launch of an expanded FM band appears imminent, said Rich Redmond, chief product officer GatesAir. Our customers can be assured that we’ll be ready with systems as receivers for the proposed expanded FM band hit the market. The phasing out of FM radio in Ireland is not under consideration, a government spokesperson says. While there are no plans at present to roll out DAB services on a national basis, the Broadcasting Authority of Ireland (BAI) will continue to monitor and consider the potential for the development of digital radio in Ireland. - For the first time, all RTÉ FM stations, along with 34 independent radio stations across Ireland, are available via a single free-for-all Radioplayer app. An FM switch-off in the Nordic countries might be more far off than ever. The opposition is competent and vocal. DAB listening today is measured at 17 % in Denmark, 19 % in Norway and less than 1 % in Sweden. Finland opted out of DAB irrevocably already 2005. With increasing on-line listening and retained FM the DAB-system is expected to have a difficult time surviving on free market terms and without government intervention. Here is an update of the future situation for FM and DAB broadcasting in three major Nordic countries. the Norwegian Minister of Culture says that the FM switch-off goal of 50% "Digital listening” has been reached. However, this figure include listenership of DVB-T and Internet radio. Last week, the Government Statistical Bureau reported that listening to DAB radio is presently limited to 19% on a daily basis, says the Norwegian Local Radio Association in a press-release. London Rock Station Leaving DAB for Online. TeamRock Radio is leaving DAB radio in June to concentrate on podcasting and online streaming, TeamRock Radio is making the change from broadcast to podcast as it comes off the national digital radio platform. Millions of motorists in radio shadow. FM retained for local radio. Political struggle expected. Norwegian Minister of Culture says that as the terms now have been met i.e. 50 % are "listening digitally" there will be an FM switch-off 2017. But local commercial radio and community radio outside the five largest cities can continue on FM. However, opposition to this proposal is expected in Stortinget (the parliament) later this Spring. This successful step towards introduction of the DAB system in Norway has been made because of heavy lobbying not by market driven demands. Report envisages major risks with a transition. Reasonable to retain FM radio. The proposed transition to the (terrestrial) digital radio DAB+ platform entails major risks and will probably not be profitable from a wider societal viewpoint. The best choice is to retain the FM network, according to the national auditor Margareta Åberg. The consultation round by the Ministry of Culture concluded on March 23. There were several decisive objections from the institutions most qualified to make a judgment on the proposal for a transition to DAB 2016-2022. Adding to this an extensive and critical report was presented yesterday to the Parliament by Riksrevisionen (The National Audit Office). The Ministry of Culture is expected to take a final decision regarding this issue next month. The independent analysis by the National Audit Office makes it probable that 20 years of efforts to introduce DAB in Sweden will come to a definite end. The Indiana State Senate has adopted a resolution urging wireless carriers to activate the FM radio receivers in smartphones. The resolution focuses on radio’s public safety role and comes as Indiana-based Emmis Communications has stepped up advocacy efforts to get FM receivers activated. The company says similar legislative actions are set to take place in other states. A new media structure is born. Renowned media personality to head new organization. Again the local democracy must be conquered, says Lotta Gröning, renowned journalist and historian, elected as President of Community Media Sweden (CMS) a new umbrella organization constituted today in Upsala by National Association of Open Channels (ROK) and Community Radio Association (NRO). DAB Radio Proposal Near Death in Swedish Consultation Round. Plan for a transition from FM to DAB+ rejected by expertise and major authorities. The proposal for a transition from FM to DAB+ 2016-2022 has been rejected by central public institutions and many experts in Sweden. Only some minor authorities are behind the proposal together with established DAB proponents. This confirms the unison negative opinion in media when the proposal was presented to the Government in December 2014. The negative and positive respondents are listed below. After receiving an inquiry report by the National Audit Office on April 14 the Ministry of Culture will consider the next step; a proposal to the Parliament for a transition to DAB, to continue with more inquiries or to scrap the idea of replacing FM, which then will put an end to 20 years of efforts to introduce DAB radio in Sweden. Analogue radio licences for the three national commercial networks and more than 60 local commercial radio stations are to be renewed for a further five years following a change in legislation. The Department for Culture Media and Sport (DCMS) has confirmed the extension, which will secure the analogue future of these radio stations, including Classic FM, TalkSport and Absolute. The planned DAB+ test for Vienna and environs, originally scheduled for the middle of April, has now been pushed back to the end of May. Two important participants, public broadcaster ORF, and the national commercial broadcaster Kronehit, have dropped out of the test, according to radio.nl. ORF had plans to test a youth channel FM21 / Ö3Plus. Home Minister Rajnath Singh has asked the country’s defence force Sashastra Seema Bal (SSB) to set up radio communication in border areas, according to The Times of India. He said the SSB should consider starting FM radio channels in the border areas so that Prime Minister Narendra Modi‘s monthly ‘Mann Ki Baat’ programme could reach there. Also if needed he could also communicate with the forces though these channels. DAB Radio may cost Danish and Norwegian car-owners more than 2 billion euro. 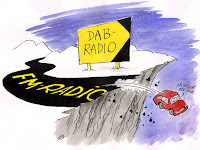 The Danish national motorist organization FDM has asked for an inquiry into the cost for of a transition from FM to DAB 2019. - The Norwegian organization for car-importers BIL has informed to the ministry of culture that their members reject the elements of compulsion and a premature FM switch-off 2017 in "little Norway" in comparison with the rest of the world. - In Sweden two national motor organizations have questioned a premature switch-off 2022. - Finland permanently opted out of DAB already 2007. Ed Vaizey, the UK minister for culture, communications and creative industries, has admitted that the public’s limited uptake of DAB radios has harmed industry across the country. Vaizey said that government plans for an all-digital radio future have been knee-capped by DAB radio’s slow penetration in the UK market. A letter from House Committee on Homeland Security Ranking Member Bennie Thompson and House Committee on Transportation and Infrastructure Peter Defazio asks Federal Communications Commission Chairman Tom Wheeler to do everything in (his) power to make certain that every American consumer has access to the FM radio chip in their smartphones today. BBC local radio in England is now on the DTT network across the UK. Most viewers using Freeview can now access a BBC local radio station. 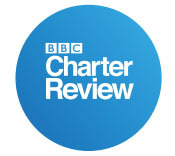 Local radio stations co-located with BBC regional television services appear to be the main beneficiary of this rollout. 14.5% of the UK listens to radio via the TV at least once a week; it currently accounts for 4.7% of total radio listening. 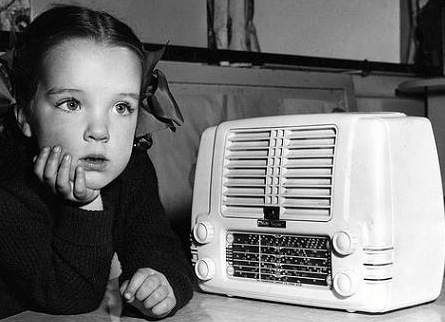 FM Radio to be retained for decades while online listening is increasing. Denmark has been broadcasting DAB-radio since 2002. Norway is on its way into a complete DAB+ structure and for Sweden there is a DAB+ proposal to the government for a transition period 2016-2022. Finland has definitely left the DAB track. - Will DAB survive the established FM radio and the fast rising on-line platforms in the Nordic market with a total population of 26,7 million - and a combined resource of 50 million FM receivers? Record-breaking speeds have been achieved during tests of 5G data connections. Researchers at the University of Surrey's 5G Innovation Centre (5GIC) managed one terabit per second (Tbps) - many thousands of times faster than current data connections. At 1Tbps, it would be theoretically possible to download a file 100 times the size of a feature film in about three seconds. The speed is more than 65,000 times faster than average 4G download speeds. Will Denmark Ever Go From DAB to DAB+ ? 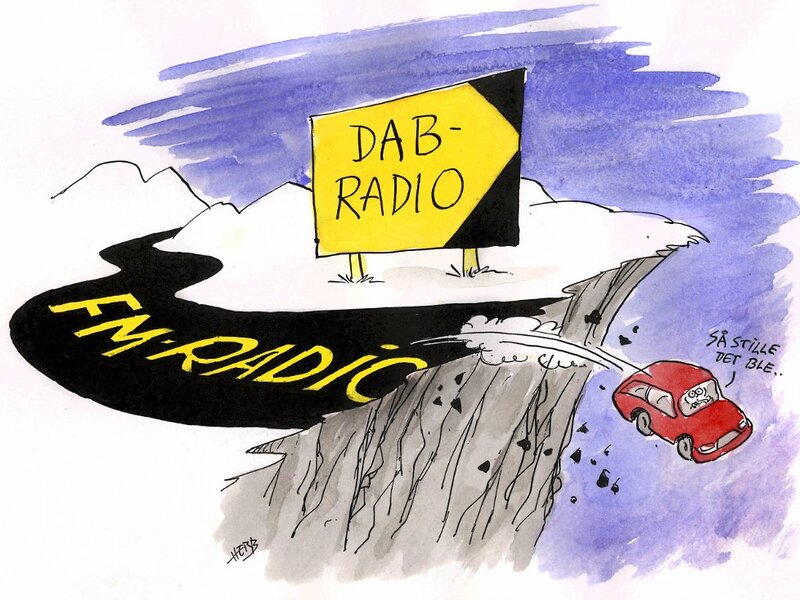 For the third time in a row the media political MPs in Danish Parliament has decided to postpone a decision on a transition from DAB to DAB+ This after a consultation with a skeptical or negative radio industry opinion with a retainment of FM on its agenda. Next meeting with Folketinget (the parliament) culture committee on this matter will be January 30. Broadcasters To Lose Still More Space in the UHF Band. A new band of spectrum 600 MHz may be available for mobile use in Canada. There is an ongoing process in most countries to use the 700 MHz band for mobile broadband replacing over-the-air television broadcasting. But there will be a growing demand for still more spectrum on lower frequencies for mobile broadband. The Canadian government has now taken the first step in that direction with a new consultation round. 17.777 FM Transmitters in the U.S. According to the FCC there are 17.777 FM-transmitters in U.S.A. 6.633 are Commercial radio, 4.085 Educational (mostly NPR and universities) and 873 Low-Power FM (Community radio). Also there are 6.186 FM translators and boosters. This month the commercial broadcaster Antenne Bayern is closing two DAB+ channels Antenne topp 40 and Antenne Bayern which will remain online. Antenne Bayern is critical against the economical possibilities for commercial radio to finance DAB+. More money for development of content and distribution is needed. But the income from commercial ads will not cover this according to the company.